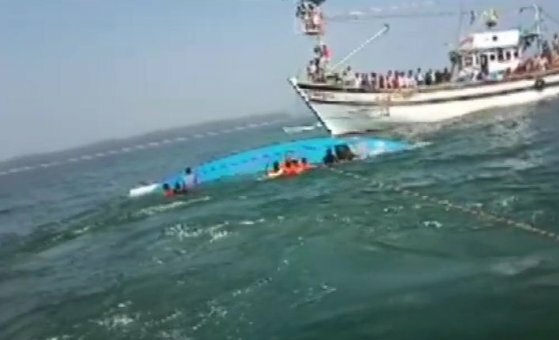 ONI Bureau: In a tragic incident, at least 8 people have died after a ferry boat capsized near Karwar in Karnataka on Monday. One person is still missing. According to reports, there were around 26 people present on the boat when the accident took place. 17 people have been rescued. Within a few hours of the incident, the Indian Navy and India Coast Guard launched a search operation off Karwar bridge on Kali River and recovered 6 bodies with the help of local fishermen. The search and rescue operation is still underway.